We are here to help you on your journey to find the perfect dress you have always dreamed of. Here at Mia Sposa our wealth of experience allows us to define the fit and fabric that will make you look and feel amazing. It’s important to Joy and the girls to know you are coming so please make sure you book an appointment. The bridal consultants can then prepare to welcome you and your party to ensure you have a fabulous time trying on bridal dresses! Your appointment will last 90 minutes so you won’t feel rushed – allowing yourself plenty of time to find a style that suits best and then we can work together to find “The One”. Do try dresses that we suggest – We know our range and what suits certain shapes the best! Joy and the team understand the importance of turning your bridal dress into a perfectly fitted bridal gown. This is where the magic happens and the difference it makes getting your dress fitted by one of our professionals. Once your wedding dress is ordered and arrives in our boutique we will contact you to book in your fitting appointments. We usually recommend 2 appointments will be needed and occasionally a 3rd appointment may be necessary. Bridal fitting appointments usually last around 30 minutes where our seamstresses will pin you to perfection. It is essential you bring your chosen bridal shoes and underwear too. 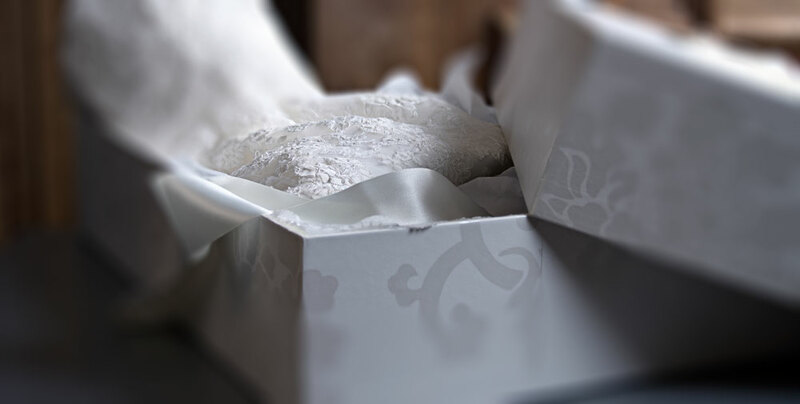 If you have bought your wedding gown elsewhere and wish to use our fitting service then please call the boutique on 0191 2211 688 to see if we can assist and fit you in. Joy’s team have at their disposal two professional seamstresses’s who will work with you to ensure everything is done to make your gown a perfect fit. We will also advise an give you costings for the work to be carried out will book in any other fitting appointments that may be required. Your fitting appointment usually takes about 30 minutes and we respectfully ask that you arrive on time. We understand if you are running late but please be aware that this impacts on other fitting appointments as we are usually very busy on fitting days, which are normally Tuesdays and Thursdays. Your first fitting is generally 4-8 weeks before your wedding with your second fitting being 2-4 weeks before your wedding. We will look at hte dress together and give recommendations based on their experience but we also ask our brides if they are happy with us to go ahead and undertake the work to ensure the dress is perfect. You will need to ensure you bring all of your accessories most importantly your wedding shoes and your underwear including bra to all fittings. 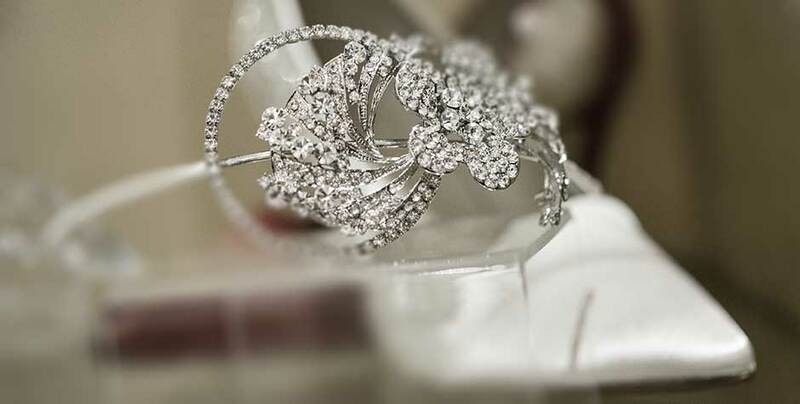 Our boutique has an extensive range of accessories which are a mix of all our favourite wedding and bridal wear accessories to make your big day special and glamorous. Why not book to come in to our boutique and have a styling appointment. We also provide a service in which Your wedding dress can be dry cleaned after your big day to keep it fresh before storage. To keep your bridal dress in excellent condition you can buy either breathable dress covers and breathable boxes with acid free tissue in several designs and sizes. Finally, after your wedding we recommend cleaning your dress as soon as possible. This means that those inevitable marks will stand a good chance of being removed. We will give you the details of our recommended cleaning company. If you would like help on your wedding day then we can arrange for one of the girls to meet you and help and assist you with your wedding dress. to enquire about our Wedding day Dressing Service. Please advise us when you are coming to collect your precious wedding dress so we have time to prepare it. This process involves carful pressing of your wedding gown and we undergo final quality checks. Your wedding dress will be ready in a breathable wedding bag or if you have requested the dress to be packed in a case it will be carefully and lovingly wrapped in acid free tissue. Joy or one of her girls will carry your dress out to the car as their final job ensuring safe onward transit for the big day. After your big day we can recommend having your wedding dress dry cleaned so it remains in it's original beautiful condition.